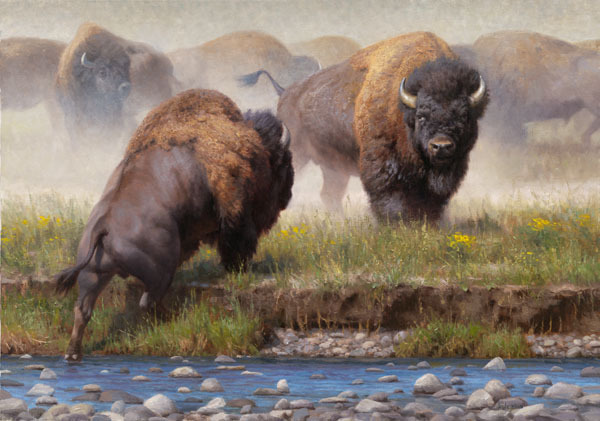 Sims loves wildlife and paints the drama of animals in their natural surroundings. This majestic scene depicts a test of wills and strength. In the clouds of dust, these monarchs of the plains are on a collision course that will allow only one winner in this "Yellowstone Face Off".